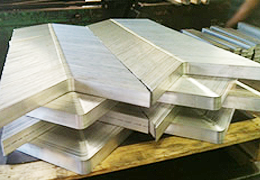 Eldred Sheet Metal is a Gulf Coast metal fabrication company located in Houston, Texas. 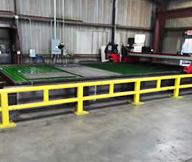 We are a leading provider of custom metal fabrication with the ability to flame-cut, plasma-cut, or shear your parts to size from 16 ga. (.0625") up to 3" thick material in carbon steel, stainless steel, galvanized, aluminum, and various other alloys. 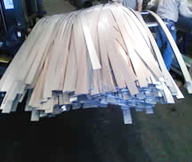 Our quality of work sets us apart, and our lead times and pricing bring customers back to us time and time again. We are dependable, courteous, and ready to answer any questions you have. 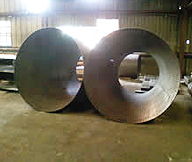 When you are looking for a custom metal fabricator who can handle your fabrication needs; your search is over. 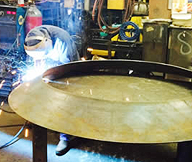 Eldred has over 65 years of experience fabricating parts for customers' metal fabrication projects as well as complete fabrication of custom metal projects. 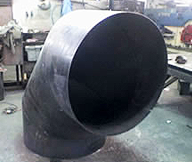 Send Eldred your request for review and let us determine if it is within our equipment and fabrication capabilities. When you partner with Eldred, you can be assured your project will be of the best quality. Our desire is to provide you with personal attention, better quality, and excellent service. 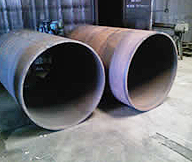 Find out how we can meet your fabrication needs. Get a quote today. 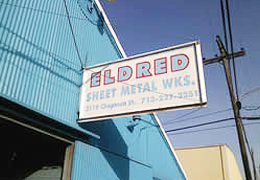 In 1946, Mr. Eldred founded Eldred Sheet Metal. After World War II, Mr. Eldred started forming sheet metal for the rice producers in the Houston area. Around 1959, Mr. Eldred gave the business to his daughter Willie Mae and her husband Ben Boswell. They operated Eldred Sheet Metal until 1963 when they sold it to Cecil Callahan. Cecil continued to operate Eldred as a sheet metal fabrication shop for the next 30 years. In 1993, Milton Smoot, Sr. purchased Eldred from Cecil. Milton and Cecil had become acquaintances while Milton was a sales rep for Ryerson. In 1996, Milton retired from Ryerson after a 32-year career in the steel industry.